I’m become fairly proficient at throwing out prayer requests on my blog for Annabelle, and even for other health reasons. But for some reason, I hesistate to ask for prayer for the “everything else” that goes on. Which… quite frankly… is dumb of me, because I’m a FIRM believer in the POWER of prayer. And wow. It’s just been quite a crazy past week or two. I’m feeling a little knocked into the ground, both on physical related things and non. So, here are my prayer requests, some physical, some not so much. Some I’ve shared, some I haven’t. – My poor sweet Annabelle has the most horrendous diaper rash. I have all the “stuff” to cure it and it finally looked a little better last night, but all day yesterday she was screaming in utter horror every time she peed, and this momma felt so incredibly helpless to ease her pain. Going diaperless doesn’t help… she scratches at it so badly that it makes it 100x worse. In fact, I made her wear JEANS to bed last night, because it’s the only thing that keeps her from frantically scratching. So prayer for the medicine to WORK and for Annabelle’s pain to ease is appreciated! – I spent the better part of yesterday, when I wasn’t consoling my baby, trying to deal with the insurance company. Because of my job loss last year, the kids are on state TENNcare insurance. Evidently last month they sent me a notice asking me to provide Annabelle’s shot records, but said notice got buried in a billion other pieces of mail we got and evidently I just missed it. Because last week I got a notice that they are denying her healthcare. I can reapply, but that potentially could create a very scary gap in her coverage. Annabelle’s ongoing care is VERY expensive, and its costs we couldn’t even begin to cover, from her meds to the VERY expensive formula she is on. Not to mention 3 weekly therapy visits and a ridiculous number of doctor’s appointments. Prayer that we would find favor and talk to the right person to get this FIXED promptly is appreciated! – To add to the fun yesterday, I also got an almost $1000 bill from the hospital for her last doctor’s visit. I called, freaking out they had already canceled it. They think it was just a billing error, and are going to submit again. But prayer that it goes THROUGH and we don’t have another thing to fight is appreciated it. – I’ve mentioned this before, but our vehicle situation is yucky. We’re Dave Ramsey people (well, we’re not perfect, but we try our best anyway!) We believe in paid-for vehicles… but also means those vehicles are OLD. My car has 250,000 miles on it… and yes, I’m quite proud of that fact!!! IT works pretty great, except that the heat blows out the dash instead of the floor. Hrm. But that we can live with. Our van, on the other hand, is about ready to go to junk-yard heaven. It mentioned before that we were told it needed a LOT of $$ to fix the brakes. Well, my sweet daddy fixed them for me, but did the minimum because he said there are SO SO SO many other things wrong with the car, one of which is that the transmission is about ready to up and quit on us any day. It’s the only car we have that will actually FIT all of our family. We can get another older model one, but the cost would quite honestly paralyze our finances to the point that Mommy might have to go back to work. I’ve really been afraid of this, but in my heart God has given me a peace that HE will provide because he knows Annabelle and her sisters NEED their Mommy. I’m not even sure how to ask you to pray on this one. But prayer and wisdom and discernment are needed big time! – A job for my hubby. Right now, he works full-time with my brother in law during the days, and part time in the evenings/weekends. But his work during the day is spotty. One week he worked 52 hours… but the two weeks before that it was only like 8 hours. And after Christmas is their slow season, when they could go weeks or months with no work. Add to it that neither job provides health insurance (meaning hubby and I go without, which is a LOT scary) and the fact that even when both jobs he still makes less than half of what I used to make so doesn’t cover our monthly bills…. Let’s just say, we are SUPER thankful for Dave Ramsey prodding us to have that 6 month emergency fund prior to Annabelle, and SUPER thankful for all those who have blessed us the last two years, and SUPER thankful that I was able to sell my book last year. But… that 6 month emergency fund dwindles fast, and authors don’t make a whole lot on one book. The closer we get to the bottom, the more often I remind God that he promised to see us through this. Your prayers for God to provide the PERFECT job for my husband… preferably one that allows him to see his kiddos more than the once a week or so he gets now… is really appreciated! I have a few other requests, but honestly, they’re private and not ones I feel comfortable sharing. So prayers for the “unspoken” are appreciated too! Honestly, I didn’t really feel comfortable the sharing ones I did. Sharing about finances and money and broken vehicles is an uncomfortable and scary thing for me. I’ve never asked for money throughout this process, and I don’t plan on doing it now. I know many heart families do, and I think that is FABULOUS because I know first hand the hardship of going through so much time in the hospital. But throughout this all, God promised to provide for us, and I trust that however He chooses will be His perfect plan for our lives. Discussion: So, I’m feeling super “exposed” at the moment… so let’s turn the tables. Please tell me how I can pray for YOU today!!! 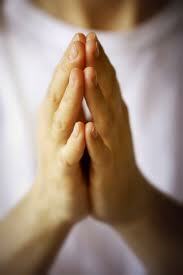 Prayer is ALL I'm asking for, friend, so that's PERFECT!!! Definitely will be praying for direction on your writing! That's a hard thing to discern at times. Sometimes just stepping back and spending a period of time in prayer helps clarify too! I stopped and prayed for each request as I read them. God hears every prayer. May God grant you His peace today. My prayer request…I have felt so lonely and isolated lately. I am feeling alone in my walk with Jesus. It seems that so many people around me are lukewarm. This actually makes me praise God even more because I fear becoming lukewarm too. I wish I had someone in my life who put the Lord first in all things. I HEAR ya on the car situation! We recently chose to sell our second car and become a one car family. Our minivan is a 2000. while it's not on its last legs, it just feels like we're gonna have a huge issue come up at any moment. Scary. God can definitely provide you that van though! You can pray for me (and my husband) in 2 areas: getting our finances under control and (me) a deeper relationship with God. Please pray for me that I'll spend more time in God's word. Also, I need wisdom regarding decisions regarding continuing to homeschool and whether I need to go back to work. This may be really far fetched but it may be worth a try. Check out Praise 106.5. They are in the states but along way from you. Anyways they have a E-auction (all on line) and yesterday I heard they are auctioning off a new vehicle. I thought of you. Praying for provision for your wonderful family. Thanks for sharing. I need lots of patience as my 7 and 5 year old boys are at each other constantly!! Please pray for my focus and for my school work. I have some other things which I will email or facebook you about.